I'm a HubSpot Certified Marketing & Sales Expert with a perfect blend of marketing & technology skills. 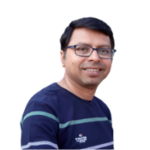 I have been working in IT Industry for more than a decade now and work actively on freelance opportunities related to Inbound Sales & Digital Marketing worldwide. If you have a job related to below tasks, you can contact me right away! I look forward to working with you soon & hope to transform this opportunity into long term business relationship. Note: Please do contact me once before placing the order. Thanks for looking at my Hourlie! The job was done as agreed and communication was excellent. It will take some time though to determine the impact of the work on SEO. I'm an experienced Inbound Sales & Digital Marketing Expert from India. My experience so far has been around driving relevant traffic & generating qualified B2B leads...Read moreI'm an experienced Inbound Sales & Digital Marketing Expert from India.